A word of explanation is necessary regarding the publication of this volume. The main object of writing it is to present in simple language a brief narrative of the rise of the Mahratta people. In India there were races, the story of whose rise fills the hearts of the readers with pride and pleasure. The Mahrattas were such a race and as long as there will remain any History of India the anecdotes of the Mahratta warriors will be read with admiration. It was the ambition of the writer to trace the history of this sturdy race down to the annexation of their country by the British. But the pressure of the College duties left him little leisure to bring the book to its natural end, and as it was believed that the book so far as it was written up to the death of Shivaji might be of help to the students preparing for the B. A. examination of the Punjab University) it was thought advisable to bring it out in the present form with a view to add to it afterwards when time would permit. The writer does not claim any originality in the book. 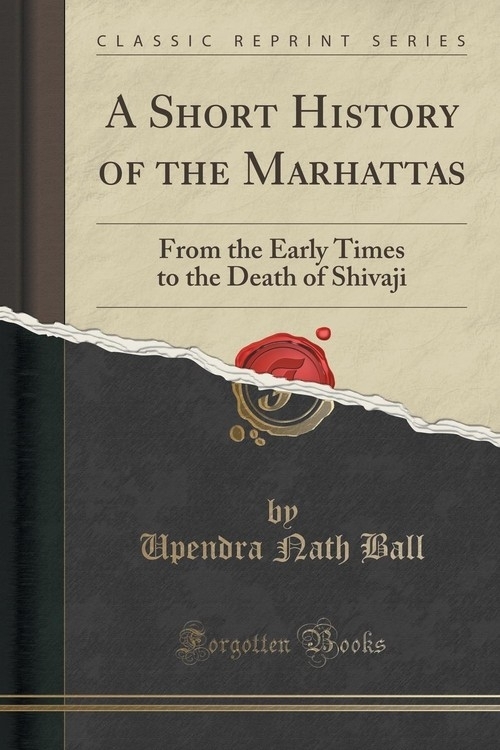 He acknowledges his indebtedness to the various writers on the history of the Mahrattas. The standard works by Dr. Bhandarkar, Grant Duff, Ranade, and Messrs. Kincaid and Parasanis have been of great help to him.